When did you develop an interest in motorsport? Since I was a 5 year old kid, I’ve always loved rides, speed and everything in between but my big break came in 2003 when I got involved with Peter Lindenburg and Wesbank Raceway. Tell us about SouthSide Crew? 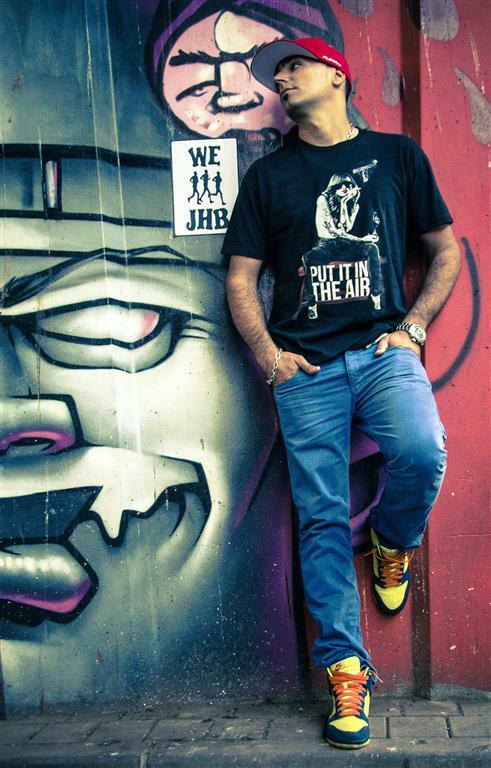 SouthSide Crew was born under a full moon on the streets south of Johannesburg. At first it was a small amount of friends that would meet weekly to prove who had the fastest ride in our postal code. Then it grew and blew up into a few hundred, until we had to move our movement from the streets to the track. Can you tell us about the concept of Illegal2legal? The concept of Illegal2Legal come about when we moved the masses off the street onto Wesbank Raceway. With the help of Peter Lindenburg and Jan Johnson we compiled the Illegal2Legal competition rules to keep the essence of street racing as close as possible. We needed it not to intimidate the street racers and keep them as simple as possible and they worked out super great. We ran Illegal2Legal successfully biweekly. 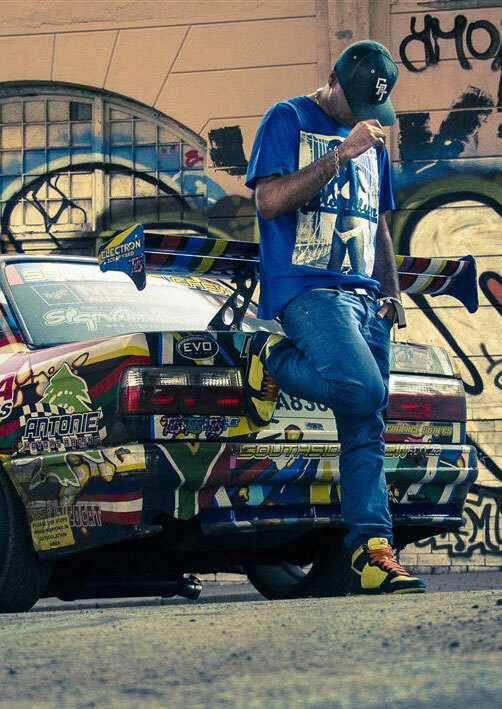 Where does your passion for drifting come from? Drifting is the craziest adrenaline rush you will feel inside a car! It’s insane fun, wherever there is insane… there I will be lol. What other motorsports are you involved in? I still compete in 1/4 mile drag racing, I’ll never forget where I started. I also do spinning which is the fastest growing motorsport in South Africa right now, attracting the masses in big numbers. I enjoy track racing and compete where and when I can as my gigs keep me very busy on the weekends. Apart from racing, what would we find Vic doing? Apart from racing you will usually find me in my natural habitat on a stage or spin pitch with mic in hand keeping the masses entertained or hosting TV shows like Thrill Seeker or Supadrift Series. Any pearls of wisdom to guys/gals looking to pursue a career in the motoring journalism industry? First and most importantly – NETWORK. Get out there and be on the scene regularly. Make friends, get to know the promoters, take pictures, write articles, hit them up on blogs (cost you nada) and grow your social media followers. Set yourself short term and long term goals, what you wanna to achieve in the next six months and where you want to be in two years. Lastly and the hardest – put in the active work, this means hours and loads of them, whether they’re on the iPad or at the shows and race days. Apart from the motoring scene, what are your other interests? I’m a Hip Hop head, I love sneakers especially Jordans and used to breed Pitbulls, now I just play with mine. I’m also in love with traveling. Nothing opens your head space like visiting new places and meeting new people. If you could challenge any driver living or dead, who would it be? Ayrton Senna, I’d love to share a conversation with that mentor of the sport. We got to ask, what would your dream car be? Damm, dream car… Only one choice. That’s a difficult one. Let’s say a Liberty walk 458 Ferrari….. Or a classic 1967 Porsche 911 SC. 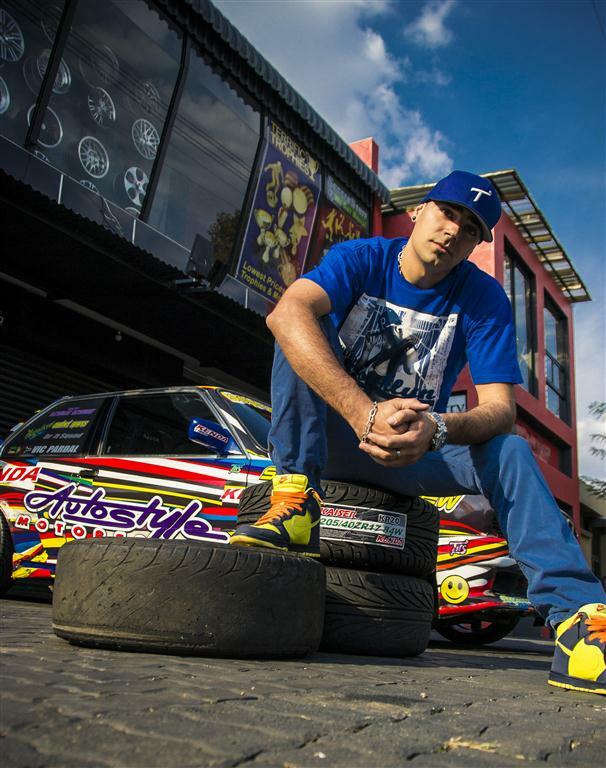 Who are your top local motoring idols at the moment? My local heroes would be Wade van Zimmerman in the Supadrift Series, truly a gentleman of the sport, humble yet filled with talent. Eddie “Rasta” in the spinning community. He is a natural entertainer. Reg Murray in the National Drag Racing Championship. He’s 81 yrs of age and still pilots a sub 10sec 1/4mile dragster – that’s awesome! What can you say has been the highlight of your career? The highlight with out a doubt would be traveling to the States with the tv show “Mzanzi Ridez”. That was an incredible experience for me. I got to interview personalities like Ryan from West Coast Customs, watch Chip Foose create auto beauty right in front of my eyes, and see some of the sickest, awesome rides in the world. The promo girls weren’t bad either lol. It was a pleasure getting this chance to interview you, any shout outs or special thanks? A big thanks to you Gas Magazine, for hitting me up. A special thanks to Mo and the team at Autostyle, always good friend and supporters of my drifting passion and to my lady Claudia for putting up with my craziness.